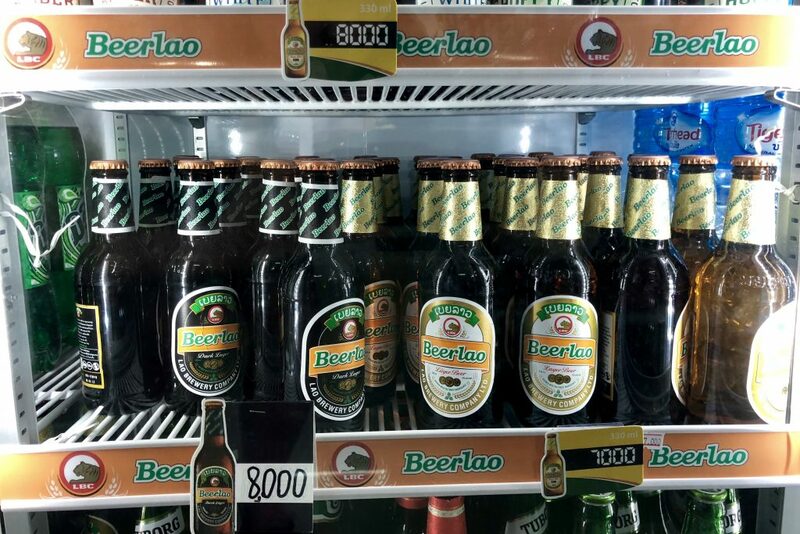 No trip to Laos would be complete without a few bottles of the country’s flagship beer, Beerlao, one of the most popular mass-market brews in Southeast Asia. The green and orange labels with the tiger logo appear at pretty much every bar, restaurant, shop, and roadside stand in the country. To locals and visitors alike, Beerlao seems like the only game in town. Vietnam, Thailand, and even Cambodia have all built their craft beer industries at a rapid pace, as tourists, expats, and locals have started looking for more flavorful options. But Laos’ beer scene has mostly stagnated, with Beerlao accounting for 95% of the country’s beer sales. 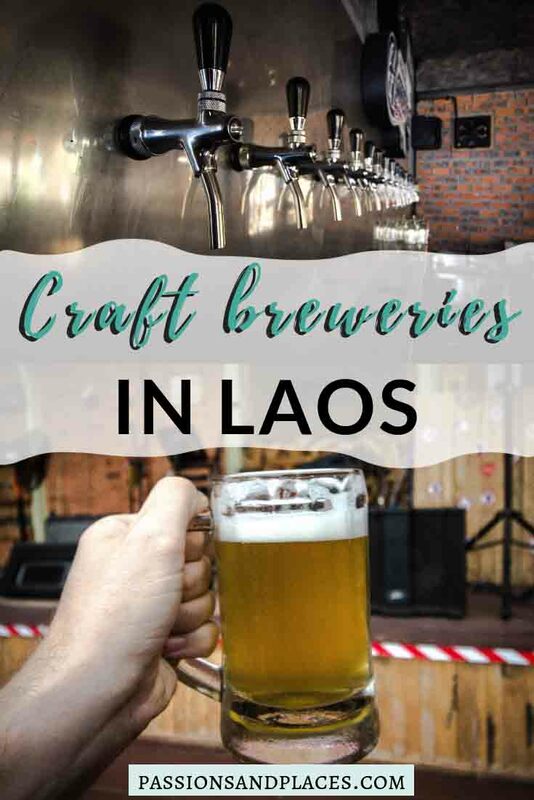 That’s not to say that microbreweries in Laos are completely absent, but the beer circuit there is a short one, and almost entirely located in the country’s capital, Vientiane. Most tourists spend very little time there, meaning they miss Laos’ craft beer scene completely. But I was not about to! On the contrary, I made a point to try almost every brewery in Laos, though unfortunately, I haven’t made it to Batieng Brewery down in Champasak (and neither have many other travelers, it seems). 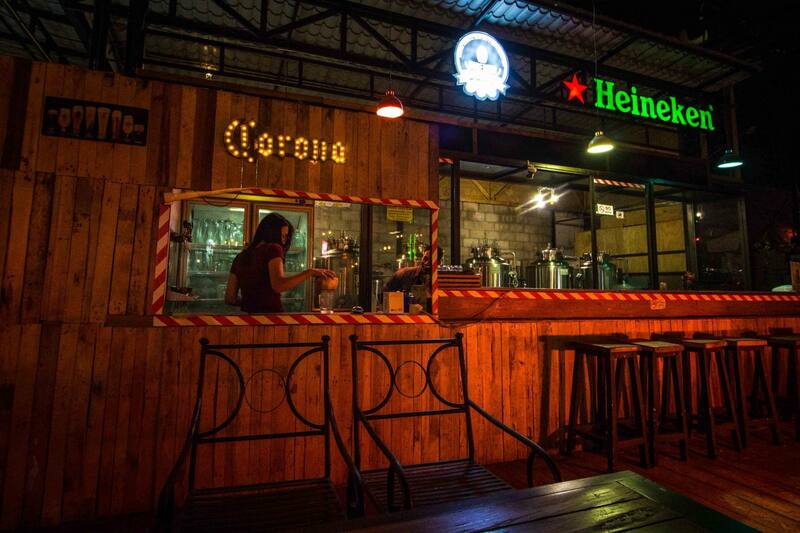 Let’s take a look at all the other breweries in Laos. 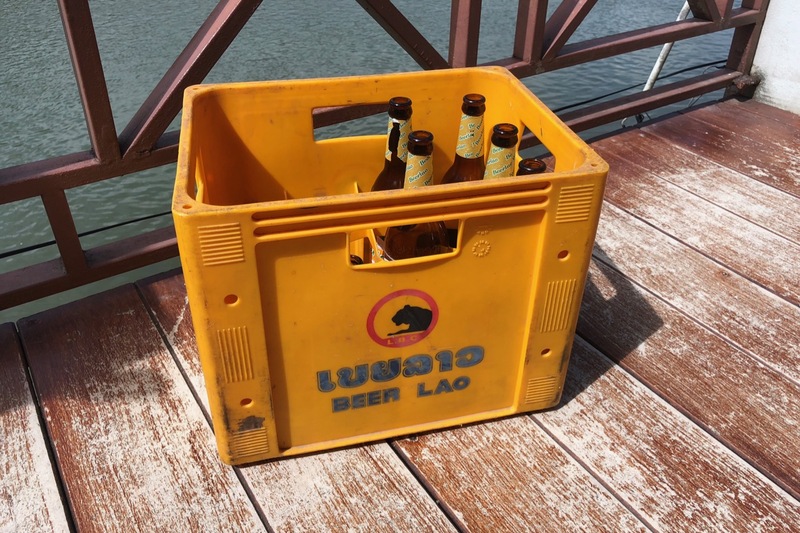 Before we explore Laos’ craft beer scene, let’s get the elephant in the room out of the way. The ubiquitous Beerlao is normally priced at 10,000 kip ($1.25) for a tall boy-sized bottle, and it’s stunningly popular with backpackers, expats, and locals alike. There’s little disagreement that Beerlao is better than similar offerings in Cambodia and Thailand (like Angkor, Chang, and Singha), though that’s hardly a ringing endorsement. That being said, Beerlao makes use of better ingredients than other mass-market breweries in the region, importing malt from Belgium and hops from Germany. Much of Beerlao’s success can be attributed to its multi-decade monopoly on the Lao beer market; from its inception in 1973 up until 2008, it was the only brewery in the country, with the Lao government and Danish beer giant Carlsberg as the majority shareholders. A captive market formed over the years, and it’s going to take quite a few more before locals’ taste buds are willing to stray far from the familiar. 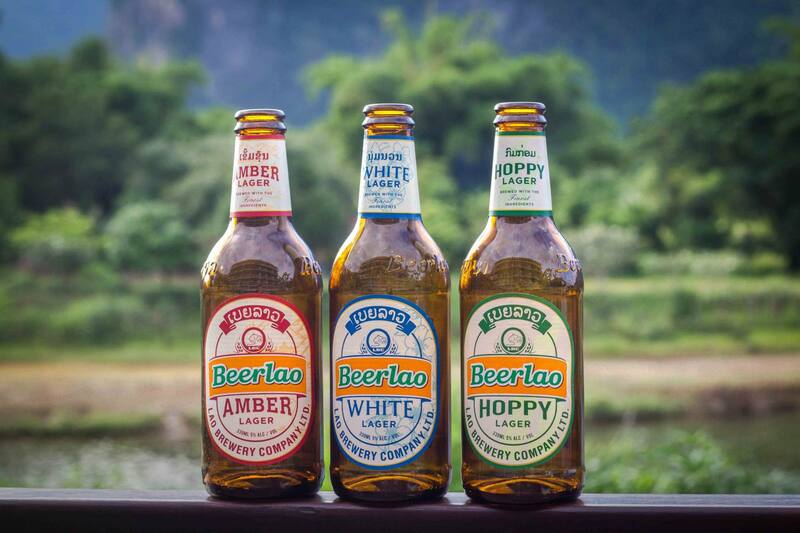 For the first 32 years of the company’s existence, Lao Brewery made one single beer, the original Beerlao. 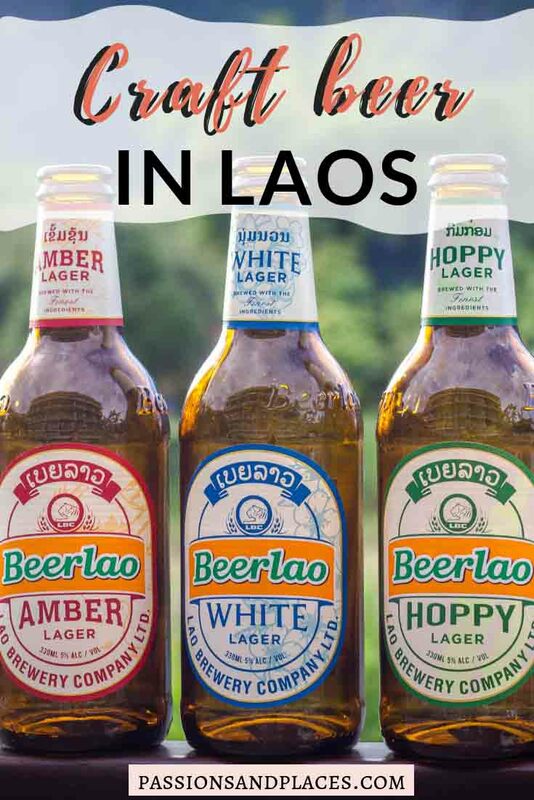 Today, they make Beerlao in three not entirely distinct flavors – original, gold, and dark – as well as and their seldom seen LaneXang lager. Given a choice among the four, I most often went with dark, which seems to have a higher malt content (and usually a 2,000 kip, or $0.25, higher price tag). The gold is lighter than the original recipe and really not worth buying. LaneXang is sold in very few places, and its flavor doesn’t differ much from the standard Beerlao; I’m not really sure why it exists. However, the company jumped on the craft beer bandwagon this year and introduced its “crafty line,” made up of White, Amber, and Hoppy beers. Only one of the three will become a permanent fixture in the Beerlao family, and consumers get to vote on which one. These beers typically cost about 10,000 ($1.25) for a 12-ounce bottle (no tall boy-sized bottles of these, sadly). The White is similar to regular Beerlao, but with some of its harsher edges sanded off. It’s not exactly a Belgian-style Witbier, as a negligible amount of wheat is used in its brewing (Beerlao, like other beers around Southeast Asia, is made from jasmine rice). I couldn’t taste any additives like orange peel or coriander either, but that surely would have been expecting too much. If you can find a slice of orange to slip in your bottle, it would probably add to the flavor. That being said, I thought it was a slight improvement over the original Beerlao. The Amber has a heavier body and a smoother taste than the standard Beerlao, but doesn’t have a distinct flavor. I went in with low expectations for the Hoppy, knowing it would taste nothing like my beloved IPAs at home. But believe it or not, it was pretty good. Somehow that extra hops gives the perception of a smoother finish and maybe a little more body. It was definitely my favorite of the three new flavors – hopefully it’s the one the company will keep. 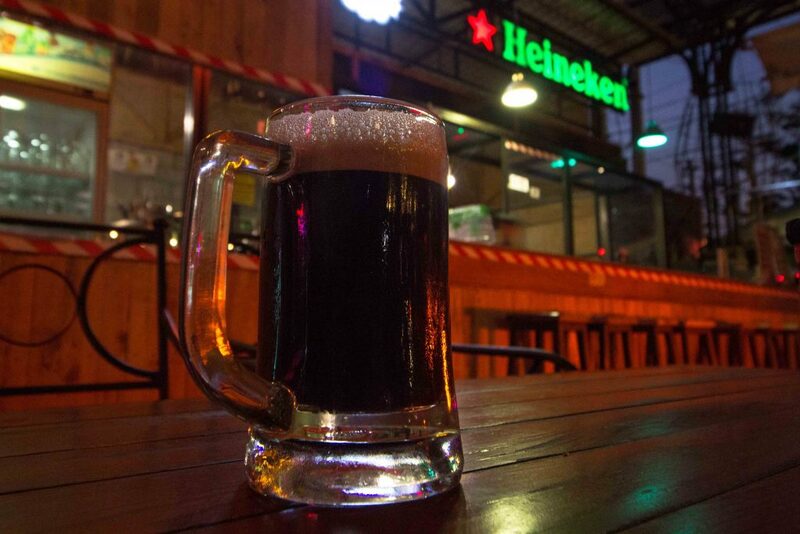 Founded in 2008 as a partnership between Heineken and the Lao government, the Heineken Lao Brewery was the first competitor to the Beerlao juggernaut. 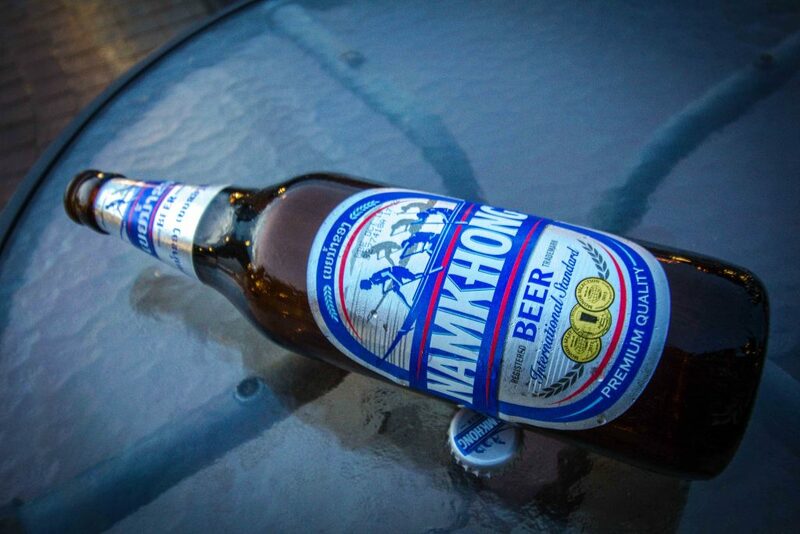 They produce just two beers native to Laos: Nam Khong and Nam Khong Special (they also brew Singapore’s famous Tiger brand in addition to Heineken). The original Nam Khong costs the same as Beerlao, 10,000 kip ($1.25) and doesn’t taste too different, retaining the mildly European flavor that made their competition famous. Nam Khong Special, which was only introduced in 2014, takes things in a totally new direction, using locally grown black rice as its primary malt ingredient. The addition of black rice gives it an earthy flavor that offsets the sweet aftertaste of Nam Khong original. It’s normally 2,000 kip ($0.25) more than the original, and I’d say it’s well worth it. This is the latest upstart in Laos’ craft beer scene, and without the help of a friend who’s a long-time expat, I would have never even heard about it. 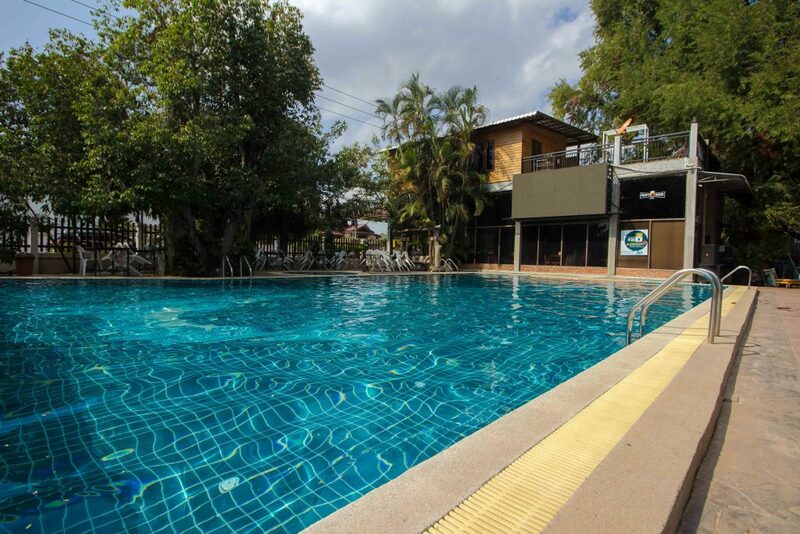 Tucked into the suburbs just outside Vientiane’s cluster of foreign embassies, Le Patitoh is a fixture in the city’s expat scene, thanks to its swimming pool and delicious ice cream. About a year ago, Le Patitoh decided to add a microbrewery to the mix. With six different brews on tap, they’re poised to make a big splash. It sounds like they’re about to start running tours of the brewery, which will be the only one in Laos, as far as I know. Le Patitoh is also the only one to offer flights of their beers. Wanting to sample as many brews as possible (for research! 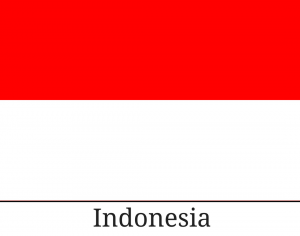 ), that’s what I went with. The first tasting of the flight was their blonde ale, a surprisingly flavorful brew compared to most light Southeast Asian beers. It was enjoyable, with a medium body and crisp finish, but not something I’d make a special trip out to the suburbs for. Next up was the wheat, a very yeast-forward beer packed with fruity notes. It was probably my favorite of the flight, and something I could see myself ordering while lounging next to Le Patitoh’s pool. Unfortunately, the third slot on my flight came up empty. While there’s normally a pale ale on tap, they were out of it during my visit. Then came the most anticipated beer of the flight: the IPA, which is almost always my favorite. Surprisingly, I liked it the least of the four. I don’t know if the keg had gone flat or there was some error in brewing, but it lacked the big hoppy punch I was expecting and almost tasted like a lager. I hope this was just a one-time problem and doesn’t continue as the brewery scales up. My last beer was the stout, which is always hit-or-miss for me. If you come into this one expecting a thick brew with hints of chocolate, it’s sure to disappoint. But if you’re like me and don’t have much of a taste for the stuff, you’ll be pleasantly surprised. Le Patitoh’s take on the stout comes out more like a nice nutty brown ale with a medium body. It’s probably one of the better stouts in Southeast Asia and something I might even be willing to order a full pint of. Le Patitoh’s beers are 18,000 to 22,000 kip ($2.25 to $2.75) for a (roughly) 12-ounce bottle, and they also offer smaller bottles that are about 8 ounces. CoreBeer just oozes cool, from the graffiti-style entrance sign that greets you at the door to the vintage light fixtures and quirky furniture inside. The stage, complete with a mic stand and an absurd number of cables, hints that some great live music takes place here, but after scouring their Facebook page and TripAdvisor reviews, I couldn’t tell you when. After taking a seat near a rather amusing fountain made entirely of beer bottles, I noticed the half-dozen conditioning tanks behind the bar, which gave me hope that this might be one of my best craft beer experiences in Southeast Asia. Unfortunately, I was quickly relieved of my high expectations when the bartender told me they were out of nearly all their beers, only a basic lager and stout remaining. Each was only 15,000 kip ($1.88) though, a pretty reasonable price for craft beer. Microbrewery lagers are so often a disappointment, with the only difference between them and their mass-market counterparts being a higher price point. But CoreBeer’s lager wasn’t bad at all; it was hoppier than I expected, less malty than Beerlao, and had a nice, clean taste. 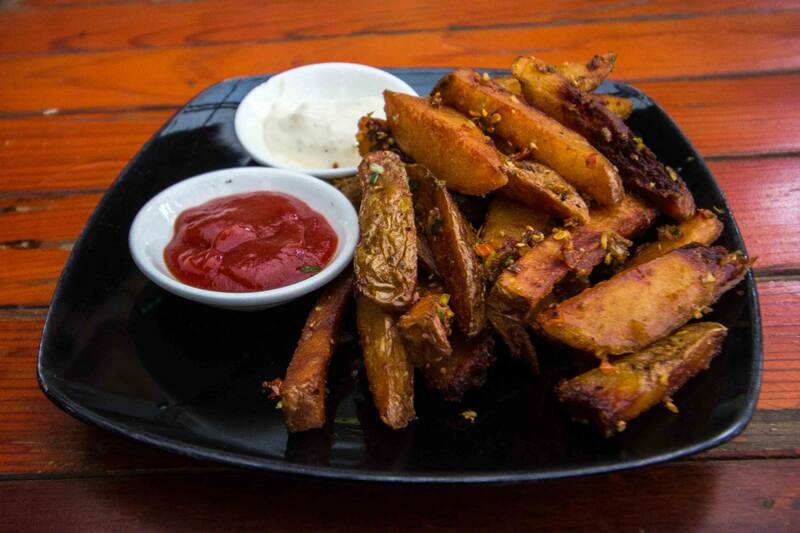 It made a solid accompaniment to some pub snacks, which were definitely the star of the show (a perfectly spiced plate of French fries for $3). Since the stout was the only other option available, I resolved to try it, even though stouts are one of my least favorite beers. Unfortunately, this one can only be described as undrinkable. 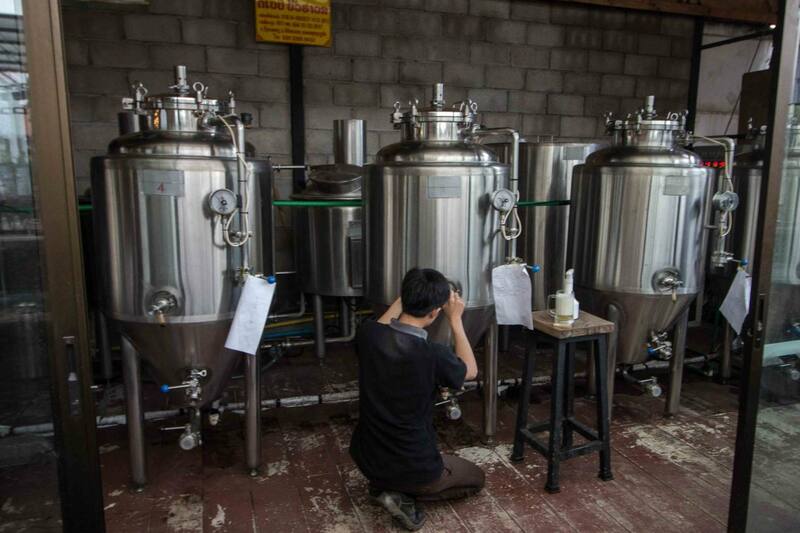 It tasted incredibly artificial, which seems to be a trend with stouts in Southeast Asia. It was fairly malty and tasted like it had quite a bit of alcohol too. 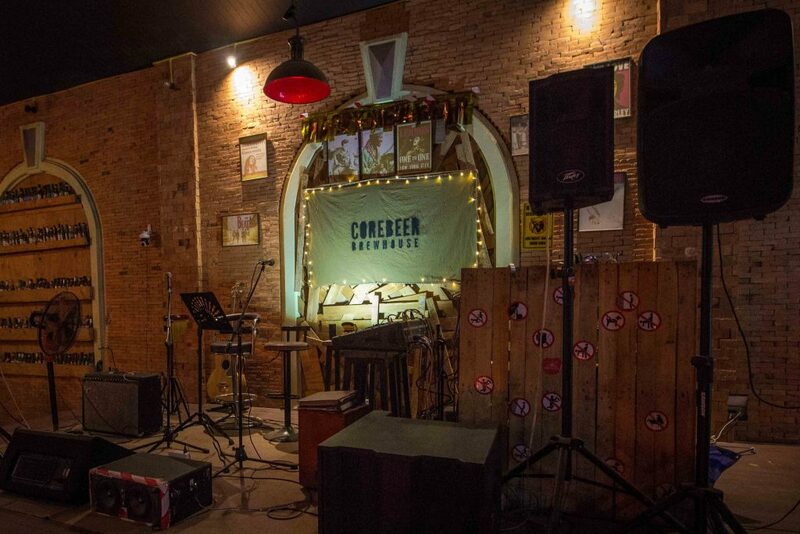 CoreBeer is conveniently located fairly close to the COPE Center, a must-see when you’re in Vientiane, although it doesn’t open until 5pm and doesn’t get busy for a couple hours after that. The #14 bus runs nearby and only costs 6,000 kip ($0.75). Proclaiming itself to be one of the first commercial craft breweries in Laos, Rock Brew had been on my list of places to try from the day we crossed the border. I’m so disappointed they don’t have their own tasting room, as their website reveals the most diverse set of beers in Laos, with seasonal offerings coming and going at all times. Right now they’re brewing everything from a New England IPA to a sour Berliner Weisse; you’ll have to check their Facebook page to find out what they’ve got going during your visit. From what I can tell, O’Grady’s Irish Pub in Vientiane has the best selection of Rock Brew’s beers, but it’s a little far from the city center and is closed on Sundays (which is when I was in the area). Fortunately, Tyson’s Grill, located less than a block from the capital’s night market, carries a couple of their brews as well. It was there that I had the chance to sample the Rye Pale Ale, which paired excellently with the vegetarian pizza. It was big on hops flavor and spicy rye aroma. The body was a little lighter than you might find in a pale ale back home, but it was easily the best beer I had in Laos. The only downside is that it came with a price tag to match, at 50,000 kip ($6.25). That might be reasonable in Boston or NYC, but it’s quite the sticker shock in Vientiane, and it’s by far the most expensive beer I saw in Laos. Still, if a good beer is what you’re after, this is the one to try. 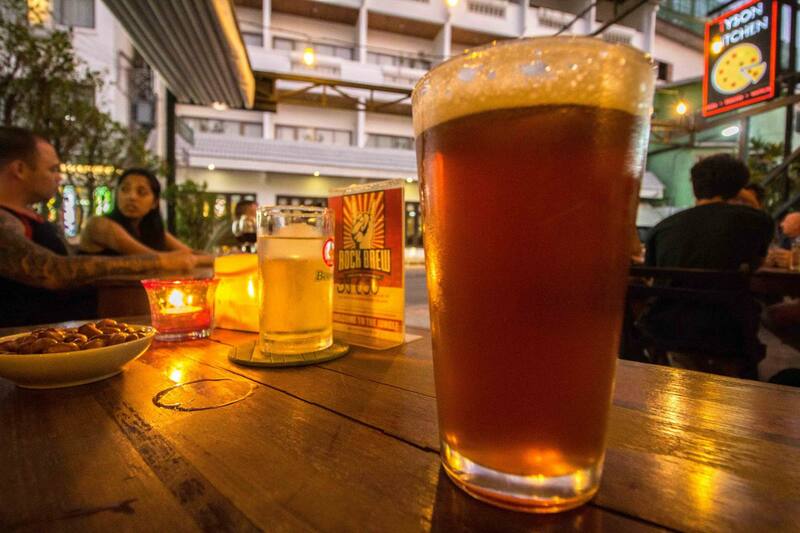 Why try craft beers in Laos? Few visitors to Laos ever venture beyond the ubiquitous bottle of Beerlao. It’s cheap, it’s relatively flavorful, and it’s been the pride of the country for decades, so why bother with anything else? Better taste and greater variety, obviously, but also because it’s interesting to see a craft beer movement in its infancy. In a place that’s tasted little beyond their flagship beer, you can watch as brewers push the boundaries of their country’s (and its visitors’) tastes and see what sticks. 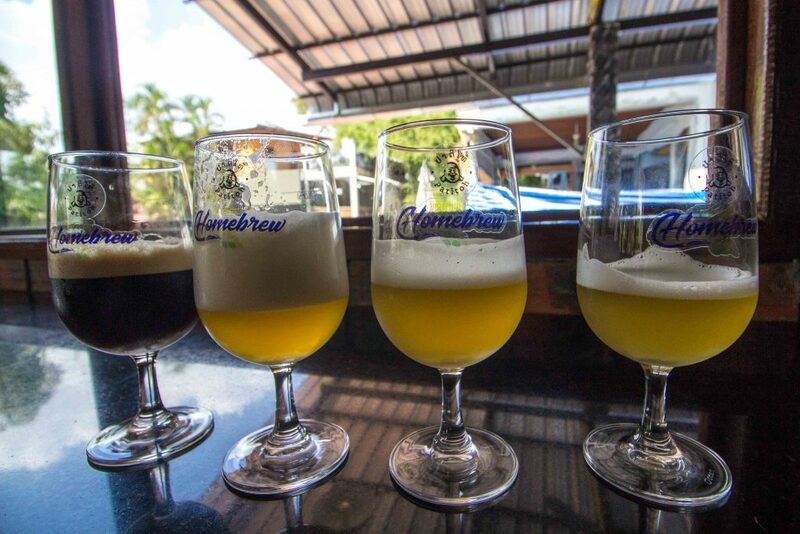 Have you been to any breweries in Laos? Tell us about your experience in the comments! Many thanks to Le Patitoh Cafe for the complimentary beer flight! As always, all opinions are our own. Thanks! Hopefully the movement keeps growing. 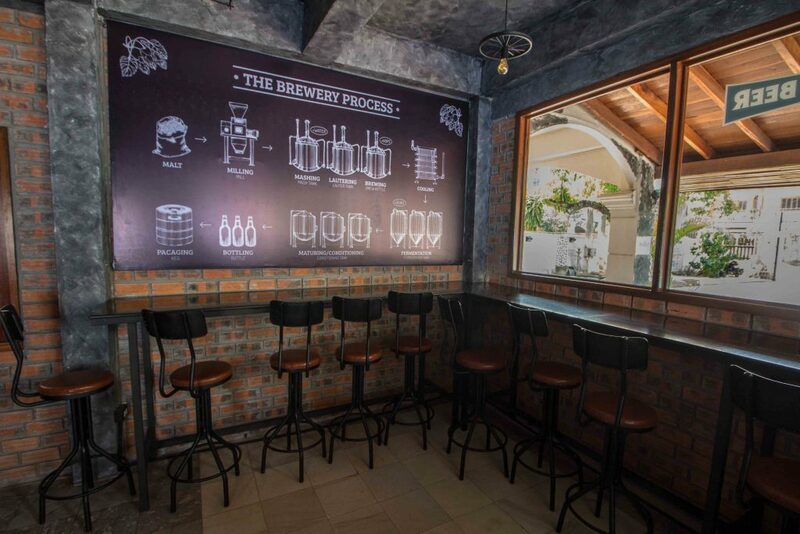 It’d be great to see craft breweries open up in other towns besides Vientiane.